This section of our site is dedicated to woodworkers and DIY-ers that have built a project inspired by our outdoor plans and have sent us photos and a few comments about their woodworking endeavor. We strongly encourage you to send us photos and your feedback regarding the projects on MyOutdoorPlans. Please send us the materials at [email protected] or using the contact form. Another one of modified plans…. 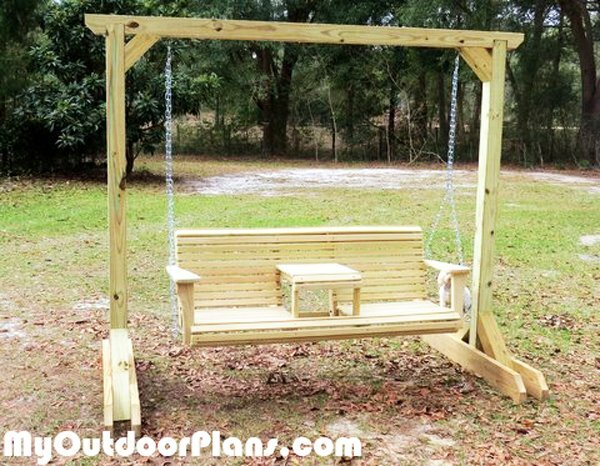 This is a swing with center table and a wooden stand!